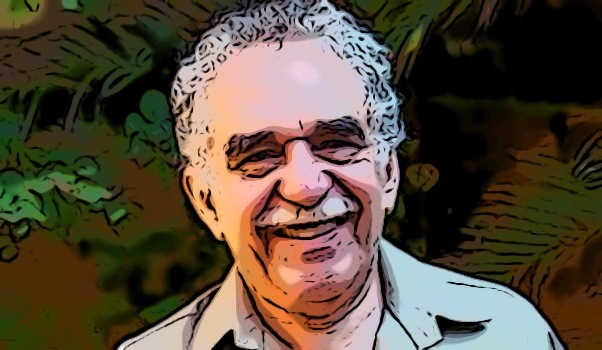 Why We Love Gabo (Gabriel García Márquez) and You Should too | Jorge Sette "Linguagem"
Of course the first thing I did after “hearing” about the death of Gabriel García Márquez on Facebook (where else?) was to access my Kindle app and download a full collection of his short stories and his biography (Vivir para Contarla). I have the print version of the biography at home, but, as I was away, I felt the need to reread parts of it immediately. The prices were astoundingly low on Amazon.com, and I figured they may not remain so for very long, as the hype brought about by the death of any celebrity is bound to push up prices of anything related to them. It was very comforting going to bed that night with those two books safely stored on my iPad. It felt like I had somehow beaten and transcended death. I could keep Gabo with me for as long as I wished. And this is something I needed to do. When I first read ONE HUNDRED YEARS OF SOLITUDE, I was in college. I had a close group of friends, all taking different majors, who spent most of the free time together. Beaches, bars, weekend trips. At some point, some of us decided to read that book and we all agreed to read it at the same time. We became a kind of informal reading club, without a facilitator or much structure to it. However, it was a lot of fun discussing the most improbable passages, sitting for hours on the beach in Boa Viagem, unafraid of death by shark in those young times. In those days, we were more interested in how funny and unfamiliar some of the magic realism sounded to us, without really devoting much time to interpreting metaphors or sensing how painfully poetic the whole thing was. Macondo, the imaginary Caribbean town featured in the the book, with its heat and rain, its underdevelopment and desolation, its ghosts and backwardness was not very different from what we experienced in Recife in the mid-1980s. It was not as if we were trying to figure out Márquez from the coldness of a damp London night, reading by the fireplace, with a cup of tea. We might as well be characters in Gabo’s books, so close our realities were. Nobody would look very surprised if we all started to ascend into the sky like Remedios, the beauty, one of the strangest characters in the book. Macondo is Latin America, and it’s Recife, Brazil, more than anywhere else. Only years later, though, did I come across my favorite Márquez: LOVE IN THE TIME OF CHOLERA. I liked it even more than “One Hundred Years…” Less magical realism and more poetry. The story of the determination of a man who waits for a woman for 50 years before finally having her deeply resonated with me. It was a metaphor standing for everything I valued as ideals in life: crystal clear objectives, passion, a steely tenacity, patience and the understanding that the journey and its pleasures should be as important as the goal: after all, Firmino Ariza, the main character, had led a fully satisfactory life while patiently waiting for the love of his life to become a widow, before finally resuming and strenghtening their relationship during a beautiful boat trip down an infinite river. Meanwhile, the journey, the life of Ariza, is packed with funny and interesting anecdotes, lived to the full, which makes the book a rare delight and a great lesson. In between these two masterpieces, I read most of the other stories, and remember being deeply impressed by the strange tale of the unfortunate life of Eréndira, who had to work as a prostitute to pay for an unextinguishable debt towards her wicked “abuela” (grandmother). Because of the movie based on the story that came out at the time, I can only picture Eréndira as the dark wild beauty Claudia Ohana, the Brazilian actress who played the leading role. Irena Pappas played the crazy grandma in an unforgettable performance. Not long ago I read another amazing and disturbing Márquez’s story. It told of a boy who liked to spend the nights on the beach staring at the sea. One night he begins to see a huge ghostly transatlantic ship passing by, which, with all its lights off, silently crashes against the reefs near the entrance to the harbor. Despite the fact that, from then on the vision happened once every March, year after year, his mother never believed him, as no traces of the shipwreck could ever be found in the daylight. Until one day when, already as an adult, with a little torch, her son manages to lead the ship past the rocks into the canal towards the beach, only to have it crash magnifically right in front of the local church. They all believed him then. This is what makes us love Gabo: his Spanish fills the world with a unique combination of magic, colors, rhythms and smells (in one of his stories, for example, a strange smell of roses takes over a little village by the sea, heralding great changes to come), which makes us see reality in a totally new light. And finally get it. This entry was tagged a hundred years of solitude, cándida eréndira, claudia ohana, colombia, gabo, gabriel garcía márquez, irene papas, love in the times of cholera, macondo, mexico, writing. Bookmark the permalink. That was amazing, loved it (again). I’m glad you liked it, friend.